The first annual Vinyl Toy Network Art / Toy Holiday Show is set for this coming Sunday (12.10.06) from 9:30 AM to 5:30 PM on at the Pasadena Convention Center. 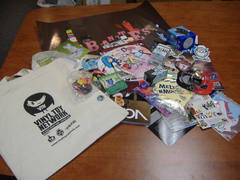 Spanning two rooms, the first VTN event will be packed with vendors and artists. 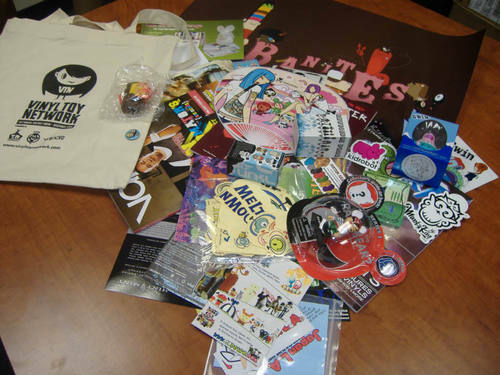 Scheduled vendors include 3D Retro, 5 & A Dime, Alpha-Cult, Flopdoodle, Japan L.A., mixi-bang!, Meltdown Comics, Munky King, October Pop Cling, Rooted Movement and Wheaty Wheat Studios. Artists making personal appearances (or selling items) at VTN include Luke Chueh, Cam De Leon, El Maz, Chris Lee, Renee Gontarski, David Horvath, Kerry Horvath, Sun-Min Kim, Alayna Magnan, Darth Rimmer and more to come. The first 100 people in attendance who sign up for the VTN mailing list at the show will receive a loaded gift bag. 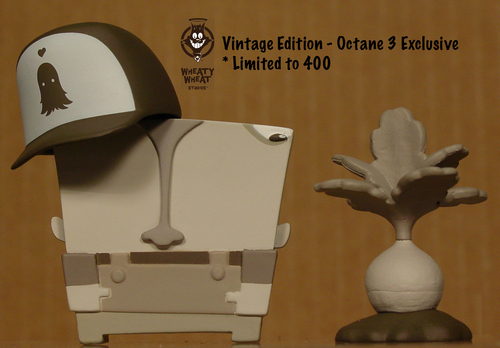 Finally, Wheaty Wheat Studios is releasing Cleabus, the first of Chris Lee's Urbanites. 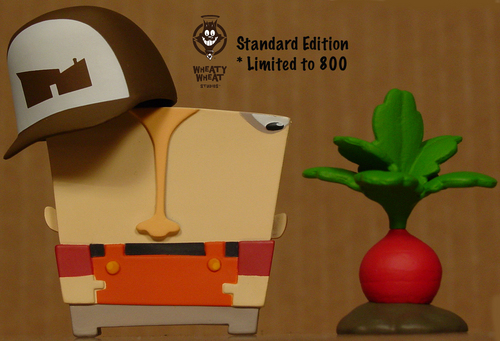 Cleabus -- the Radish Farmer -- will be available at the show in both the sepia-toned Octane3 exclusive colorway (400 pieces) and the standard colorway (800 pieces). 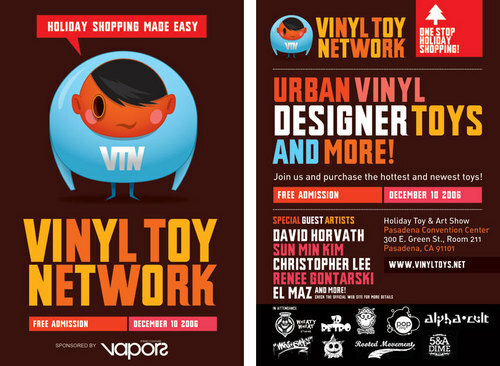 So instead of sleeping in on Sunday, come out to the first ever VTN event and get your holiday shopping done in one-stop (well, 'cept for Grandma).